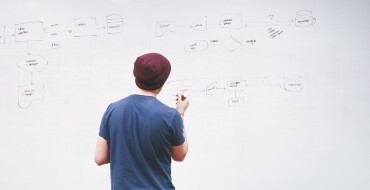 We’ve all been there: you need a solid statistic, to back up a deck you’ve been working on or to complete a post but after 10, maybe 20 minutes, you still feel like you’re grasping at straws. The truth is we all need information about how the internet is used, but often times, reliable reports are hard to come by. 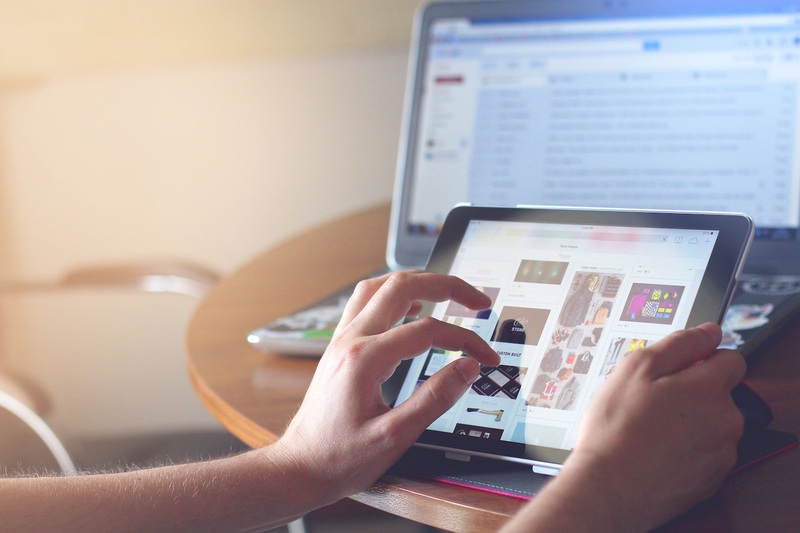 To make your life a whole lot easier, we’ve compiled the best websites to find internet usage statistics so that you don’t have to spend hours looking for information you need. The following websites will provide you with information on how the internet is being used. If you’ve ever wanted to know what websites in the Alexa top 10k use WordPress, or which Magento sites are using Google Analytics, or how many Drupal websites are using a CDN – Builtwith provides that information. 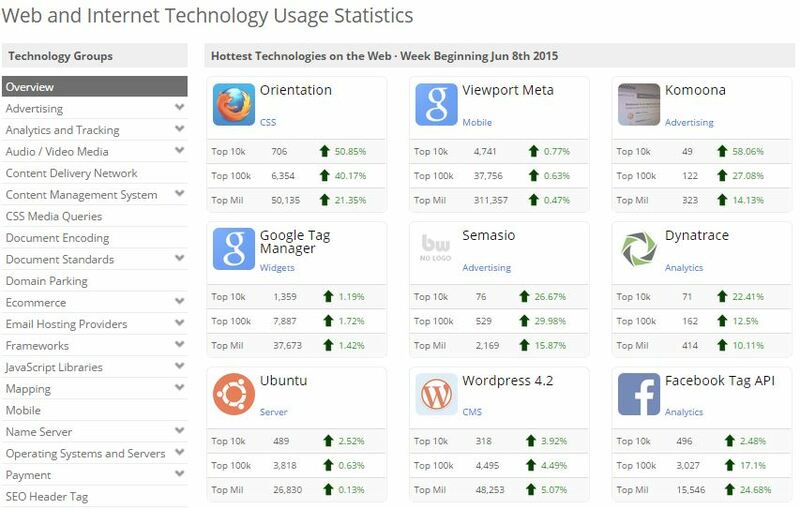 The website (and plugin) allows you to see different web usage statistics like CMSes, analytics platforms used, frameworks for websites, and much more. For those who don’t know, Mary Meeker is a partner of Kleiner Perkins, a venture capital firm located in Silicon Valley. She creates an annual report to highlight the latest trends in technology. 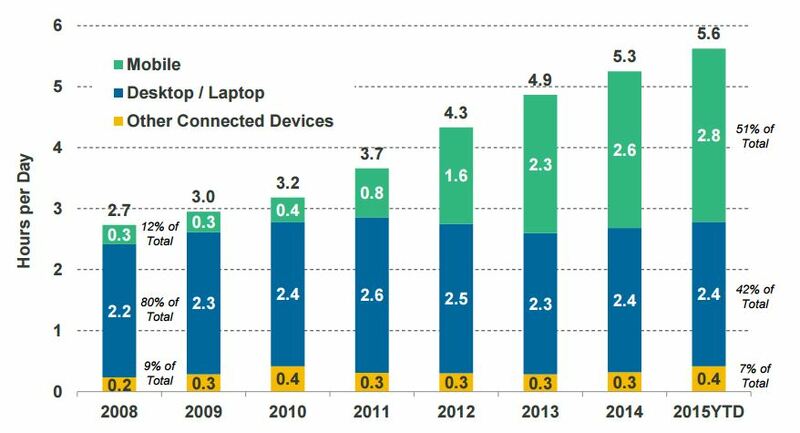 Mary Meeker’s internet trends report is something all techies look forward to every year. 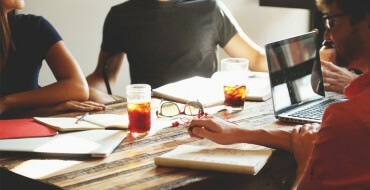 It’s become THE report for information regarding technology trends. The reports provide over 150 pages of everything you need to know about the internet is being used. 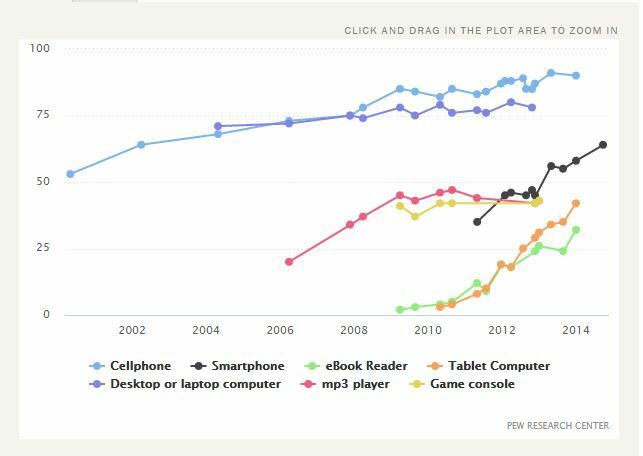 Pew is a well-known resource for those looking for web usage statistics. They provide detailed reports and trends on the latest in web technologies, including social networking, broadband usage and mobile. You’ll see Pew cited in many articles across the internet, and their statistics are extremely accurate and useful. w3counter is an analytics platform that provides free web stats for website and blogs. The ise the data collected on websites that use their program to create detailed reports dubbed “Global Web Stats.” Within the report you’ll find things like the most popular web browsers, operating systems, and screen resolutions. 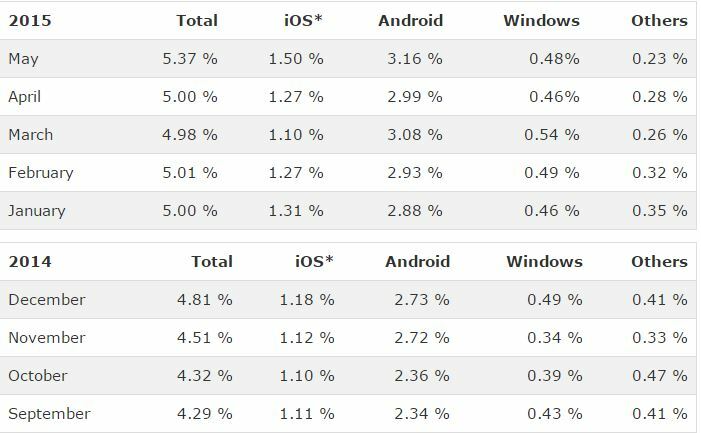 Whether you’re doing market research on what operating systems to develop for, or just want to know Chrome’s market share – w3Counter can provide that. The w3schools website, like w3counter, also publishes a report with browser, operating system and screen resolution statistics. 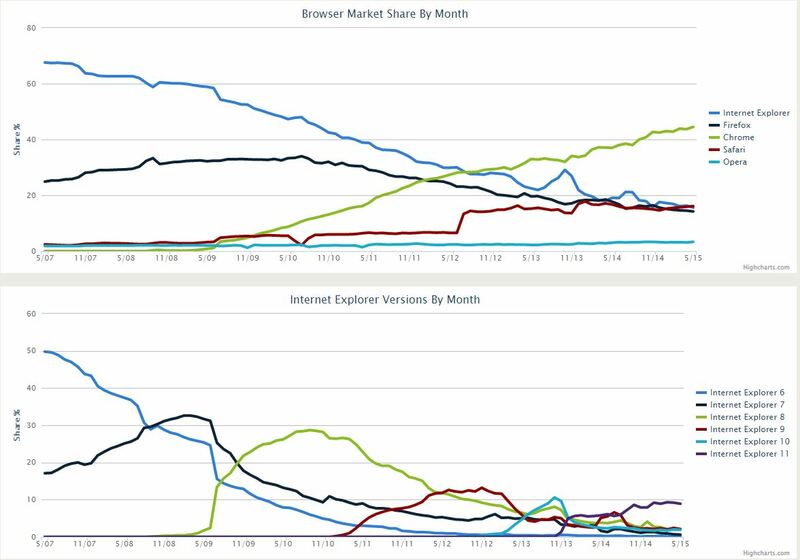 One advantage of this site over w3counter is the fact that you can see the browser market share over time. They have data available dating back to 2002 and really help visualize how browser and operating systems have evolved. A static website that will show you live numbers of how the internet is being used. 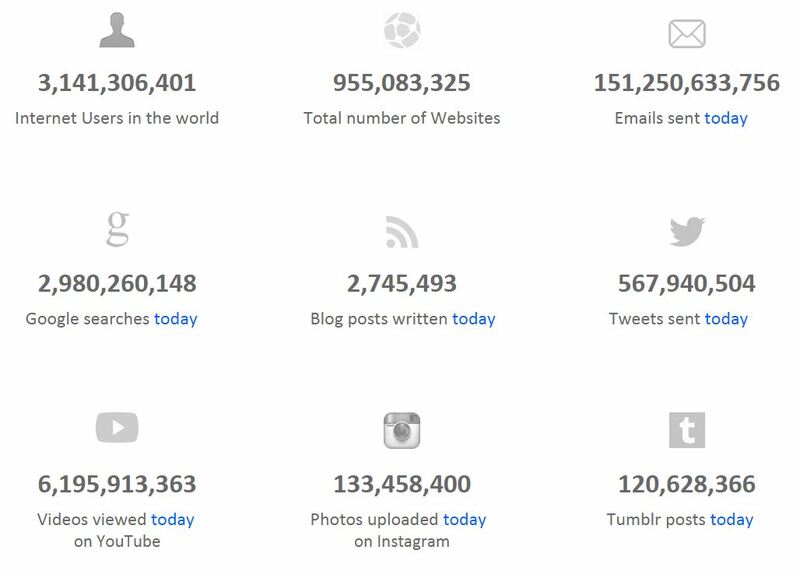 If you’ve ever wondered how many tweets are sent out in a given day or how many websites currently exist in the world, Internet live stats will give you an updated number. 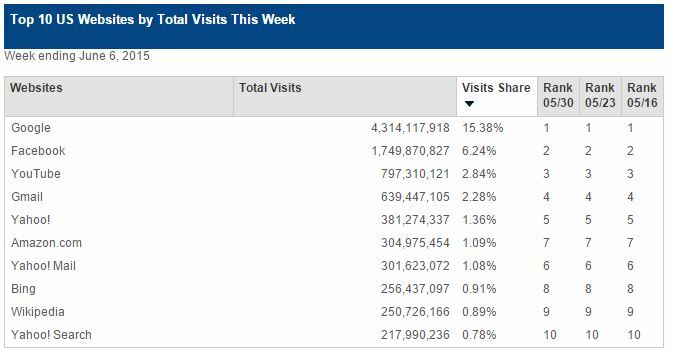 If you are looking for how the world outside of the US is using the internet, the Internet World Stats website is the place to go. You’ll be able compare how different parts of the globe are using the internet and break down certain trends by continent. 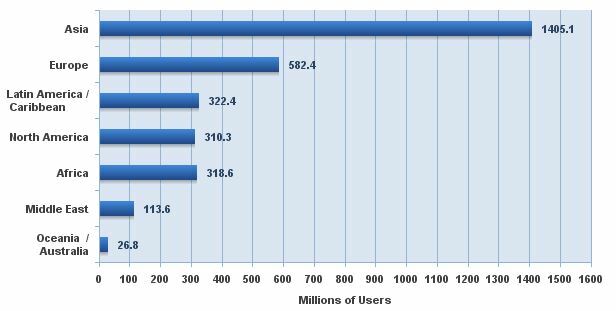 Curious about how many more internet users there are in Asia compared to America? You can find that out. Experian is a marketing company that offers competitive intelligence services. They provide online consumer trends and resources for internet trends like top websites within certain industries, the top search terms within industries, and the most used search engines. If you want to drill deep, be sure to check out both the reports and infographics sections. 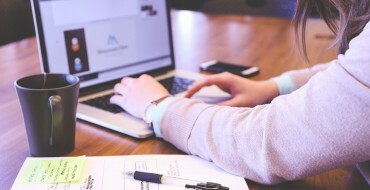 As a web development company, it’s important for us to stay on top of how the web is being used to make decisions in our development projects. If you use these 8 websites, you’ll be able to find out everything you want to know about how the web is being used. If you know of any other websites that you use to find statistics, feel free to share in the comments below.